This article will provide the steps for a New Member to join the Society and a District online. 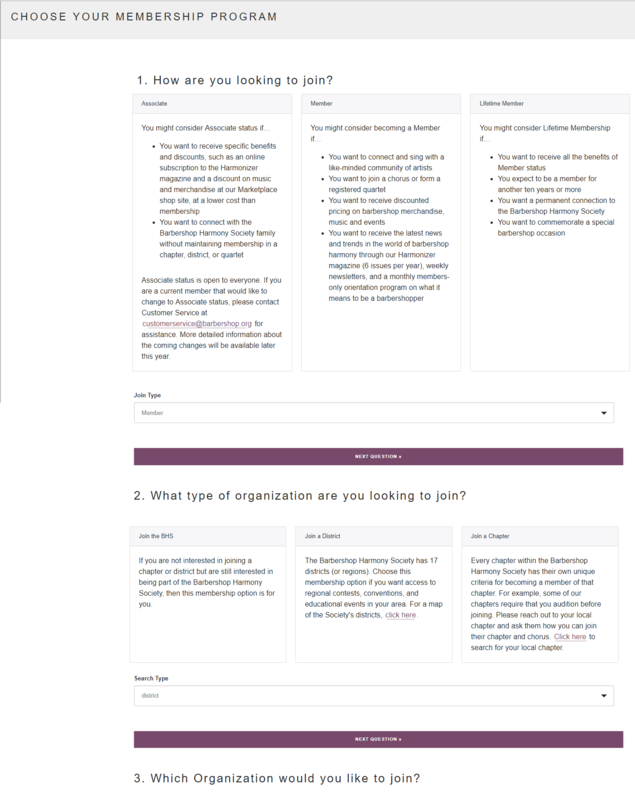 A separate article provides steps on joining a District if you are already a Society member. If you want to join a chapter as well, please do not use this process. 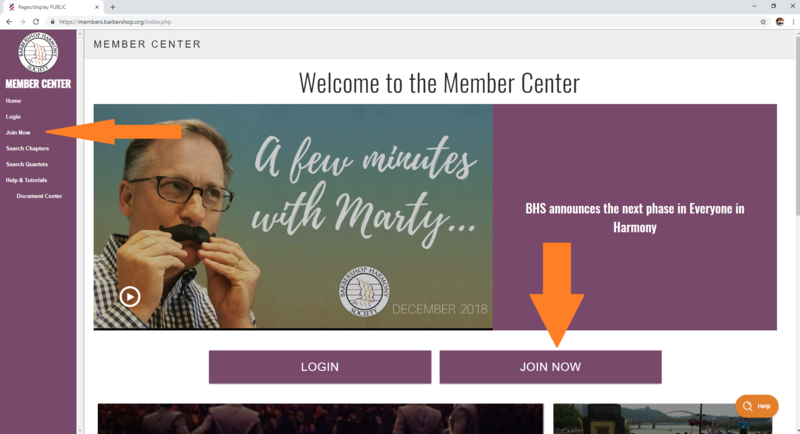 Contact your chapter leadership so that they can add you to their roster first, or contact customerservice@barbershop.org for further assistance. Either in the side bar or under the featured video. 3. Enter your Account Information, then click Submit. If a member did not refer you, click "A member did not refer me". There is an option to select if this is your billing address. This is referring to the billing address of the credit/debit card you will use to pay your dues. Any communication from us, including your annual renewal notice, will go to your mailing address. 6. Tell us how you are joining. You have the option to join as an Associate, Member, or Lifetime Member. Both Members and Lifetime Members have the ability to join districts, but the dues payments are different. 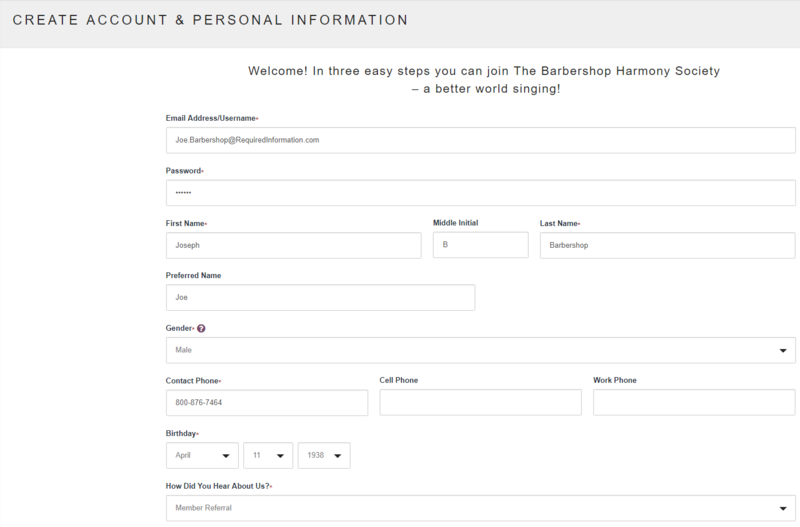 For more on Lifetime Membership, contact customerservice@barbershop.org. For paying your dues online, you receive a 5% discount off of your Society dues! 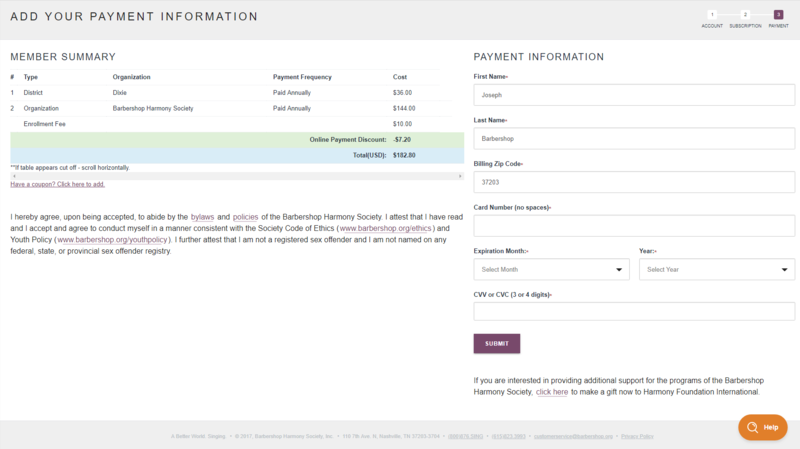 Also, make sure to read the agreement on this page, and if you have any questions about those statements, contact customerservice@barbershop.org. As soon as your dues are paid, you are immediately considered a member in good standing! We will have new member materials printed and mailed to the address you provided, usually within a week of joining.